Groundbreaking printed newsletter delivered to your house each month. CD Audio interview each month from a different revolutionary health and wellness expert. Members-Only Online Archives - Immediate access to over 84 issues. HOW CAN Live Pain Free ® Newsletter HELP? I sincerely believe that when you become a member of the family, you’ll not only start living a life free from pain ... but that you’ll take control of your entire life! "Live Pain Free® is an amazing newsletter. I enjoy this newsletter so much because you guys will report on things the mainstream media won't touch. Your topics are cutting edge and give information that big pharma doesn’t want people to know. And it gives natural remedies that doctors may not know about or they don’t believe will outperform their prescription drugs. The food and drug companies continue to confuse the consumer. These are the type of topics LPF tackles! Keep us informed! Keep up the great work!" 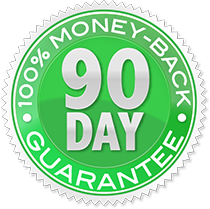 If you're 100% FULLY SATISFIED with the Live Pain Free Print Newsletter then do nothing, and in 30 days from your order date automatically receive a new issue in the mail, each and every month. You are under NO obligation to continue you can cancel at any time, no questions asked, by logging into your CustomerHub Account or you can call us at 1-800-216-4908 (International 240-780-5977). 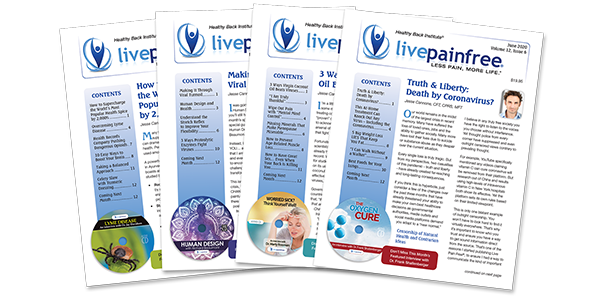 You can signup for the Live Pain Free Newsletter via our store, or we also have a Live Pain Free Newsletter special offer that includes additional free bonuses. Click HERE to see the special money-saving offer!